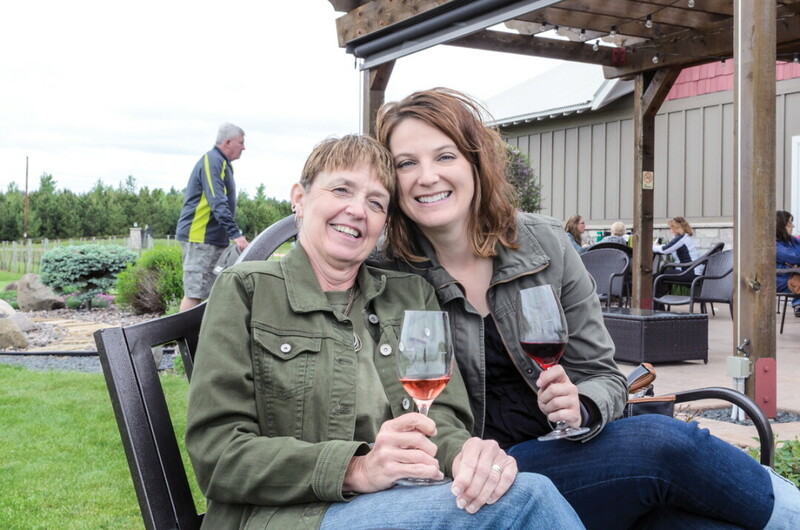 River Bend Vineyard & Winery (10439 33rd Ave., Chippewa Falls) has a tasting room, events, and, of course, wine! From open to close each day, River Bend offers free wine tasting. After you’ve tasted plenty, feel free to shop around and get yourself a bottle – or two! White, red, rose, sparkling, and dessert, this winery has a wide assortment to choose from. River Bend suggests enjoying your wine of choice out on their patio, but it can get busy, so be sure to bring some lawn chairs! Tours and group tastings are also available if you call ahead. Open weekends. To learn more, check out riverbendvineyard.com. Featuring a tasting lounge and tours, Infinity Beverages (3460 Mall Drive, Eau Claire) is a great place to visit in groups. Infinity Beverages’ tours feature a history of the winery and distillery that details production and processing techniques, and to top it off you’ll enjoy a tasting of their wine and spirits selection. Tastings feature regionally produced pairings that change throughout the year. Infinity Beverages advises customers to “come with an open mind,” as their wines are unique and out of the ordinary. The venue is open evenings through the week and all day on the weekends. Infinity Beverages also offers the mezzanine for party and event rentals. For more details, visit infinitybeverages.com.